Sino-Nepal relations in the 21st century holds a meaningful relationship in China’s rise to global and regional power. Nepal’s commitment towards China on various issues including Tibet has been applauded by the leaders of both nations. The Sino-Nepal Treaty of Peace and Friendship signed on April 28, 1960, is the foundation for the age-long harmonious relationship between China and Nepal. While China is striding forward to claim the global superpower position, Nepal is aiming to replicate the achievement and development garnered by its northern neighbor. China today is the numero uno FDI contributor to Nepal. After the rise of PM K.P. Oli, China and Nepal’s relations have seen a drastic change for good. Nepal now has a stable government in the Nepal Communist Party (NCP) and longs to open more venues and trade points, departing from its southern neighbor India. India’s role in Nepal cannot be ignored due to the open borders between the two nations. However, the southern neighbor’s erratic and bullying treatment against Nepal has irked a lot of Nepalis. The 1989 and 2015 blockade by India on Nepal reminds most Nepalese and the Nepal government that India cannot be trusted and treated fully. Whereas, China has never interfered in Nepal’s politics but has supported in every way. This must continue but in an engaging manner. China can no longer afford to remain indifferent and lackluster regarding its ties with Nepal. There’s no doubt that China won’t interfere in Nepal’s politics, but the Chinese government should improve its ties with Nepal’s political parties and ensure that a stable government (now formed) doesn’t collapse within five years. If this happens, external powers like India and the US will make sure to meddle and make sure that China doesn’t make in-roads. The imperative question here is: how can China and Nepal improve its ties in the 21st century? The world is now a global community, and this too implies in the Sino-Nepal relations. The effort made by the Chinese government towards Nepal is exceptional and outstanding and yet there’s a lot of homework to be done. Can’t Nepal become a key for China to open the gates of South Asia? Firstly, China and Nepal can improve its relations by opening more trade routes (land and sea) for Nepal. The Belt and Road (BRI) initiative is the epitome for this suggestion. The proposal to bring a train from Lhasa to Kathmandu is laudable and yet most Nepalis fear that Nepal might fall in the debt trap. This misconception should be dissuaded via the Nepal government and Nepali media. 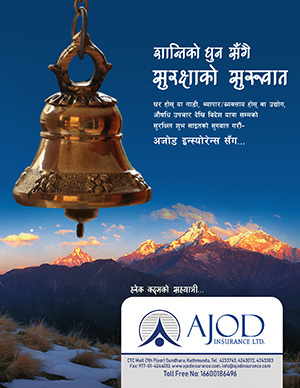 The aspiration of Nepalis is to be independent of India and China can help Nepal to achieve this. China can help Nepal from its Hambantota Port in Sri Lanka. For this, Nepal and Sri Lanka should open direct air routes. Secondly, the flow of people from Nepal to China is negligible. This can be due to the stricter visa process and lack of jobs in China for Nepalis. While a hundred thousand Nepalis live and work in India, it cannot be said the same for China. If China relaxes visa process for Nepali nationals and opens work sector, then the movement of Nepalis toward China will significantly rise. This will eventually help in improving people-to-people ties and event boost Nepal’s economy due to China’s help. Nepali professionals should be allowed to work in mainland China and Hong Kong. Perhaps, China would consider allowing Nepalese to live and work in China for an indefinite time. For this, Nepal’s desire to establish a consulate in Chengdu should be considered by the Chinese government. Thirdly, Nepal is committed to the one-China policy and it doesn’t allow any anti-China movements. A step further for improving Sino-Nepal relations would be the formation of a ‘Gorkha Regiment’ in the Chinese Army. This will not only improve China and Nepal’s relation but strengthen each other’s army relations. While China can boast of its own Gorkha Regiment, Nepal can be assured that China’s army is always behind it protect its sovereignty. Fourthly, the entertainment industry often influences people and even improves ties with the other nation. Take Bollywood for example. China too can launch its entertainment services in Nepal: shooting movies in Nepal, holding Chinese Movie festival, and screening of Chinese-language movies (with subtitles) in movie halls of China. Similarly, Nepali movies (with Chinese subtitles) too should be screened in Chinese movie halls and television channels to improve the people-to-people ties. Fifthly, language is an imperative key to strengthen the ties between China and Nepal. Opening Chinese and Nepali language schools in both nations is already done so the other way would be increasing students’ movement in both nations. China can open its world-class institutions’ branches in Nepal. The other way is to the translation of Nepali and Chinese literary works in both languages. This will greatly help to improve the ties. Sixthly, China is investing in Nepal on hydropower and other trade sectors. But it should also open Chinese banks, IT companies, service sectors in Nepal to improve the ties. Why can’t Alibaba launch Alipay in Nepal? That would be a gamechanger for both countries. Also, the recent linking of China and Nepal internet is a great achievement. China can greatly benefit from Nepal’s talents while Nepal can achieve rapid economic growth from such investments. Can’t China launch Nepal’s first satellite? Seventhly, China and Nepal should promote each other in its media such as Xinhua, SCMP, CRI, CCTV+, Sichuan TV & Radio, Nepal Television, and other media houses. It is imperative to continuously emit a positive image of both nations to its citizens. Also, both nations should engage in employing each other’s journalists. Nepali and Chinese journalists will learn closely about China and Nepal if they are employed by Chinese and Nepali media houses in China, Hong Kong, and Nepal. Both countries should set up a proper China and Nepal bureau to improve this relationship. Lastly, Sports diplomacy is another salient feature to improve the ties of both nations. India recently acquired a Nepali teenager spin bowler (cricketer) and it kind of thawed the soured relationship. China too can include Nepali sports players in its own various big leagues. Also, China can also invest in sports infrastructure in Nepal i.e. cricket and football. 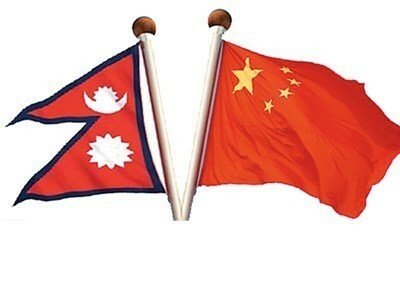 Moreover, China and Nepal can improve the ties by conducting a yearly China-Nepal Sports event. India still holds the top position as a trade partner and China can easily replace them. And it is understandable that China is reluctant about Nepal’s corruption issue. Nepal should address this grave matter and assure China that corruption won’t affect its investment. Whereas, China can teach Nepal on how to curb corruption and effectively finish its developmental projects. In a nutshell, China and Nepal’s relations in the 21st century is moving forward in a great stride. The above points can be considered by both nations to further strengthen the relationship between the two nations. If the suggestions are implemented, Nepal will be a bridge between China and South Asia. And everyone will benefit from it. Previous Being Sita and Janaki!